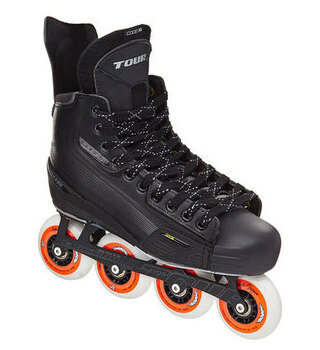 Experience the Tour advantage in the Tour Code 7 Senior Inline Hockey Skates. 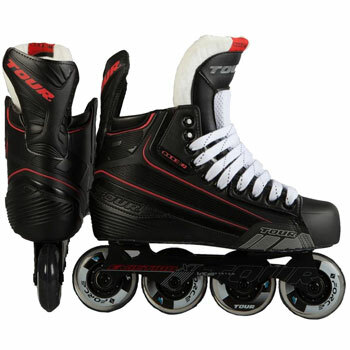 Made with Lightweight TUFF-skin exterior and comfort moisture wicking TRICOT liner, the Code 7 skates provide a great value for the casual or new-to-hockey player. 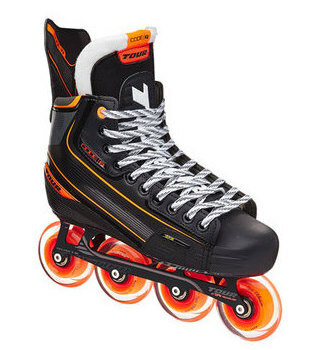 Traditional felt tongue construction with added lace-bite channel keeps your feet in place and comfortable during those long practice sessions or games. 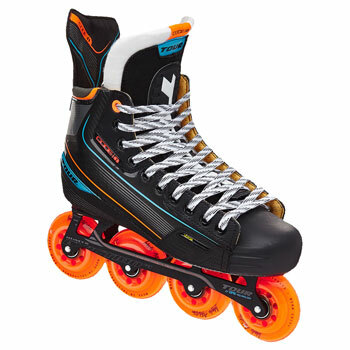 The FORCE speed formula indoor/outdoor wheels provide maximum grip, speed, and durability for all surfaces.